The trailhead is located at approximately KM 88.1 of the Dempster Highway. This is about 16.5 km north of the Tombstone Territorial Campground. Either park off to the side of the highway, or turn off on to the nearest gravel patch. From the parking area, orient yourself in the direction of the southern ridge of Mount Adney (on your left). 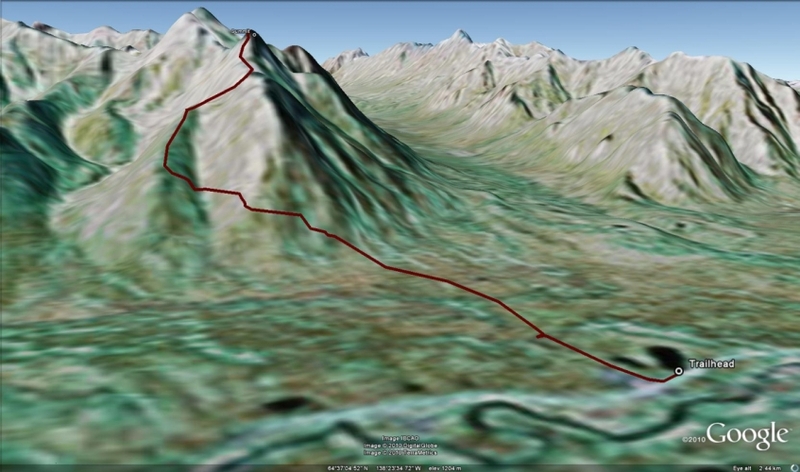 This route provides a more gradual and easier ascent than the more direct but steep northwest face. The southern face also has the added benefit of faster snow melt in the spring. Once you have your bearings, pick your way across the open tussock plain for the first 1.5 km. It will take longer than you think. The terrain here is uneven and boggy in places so watch your step and try to stay dry. There is also a small creek crossing within 350 m.
Once at the base of the mountain you will begin a gradual ascent up the southern ridge. There are some steep sections but the terrain is fairly stable with grassy, lichen encrusted slopes. The rocky outcrops and grassy hills almost feel like they transport you to the Scottish Highlands, all you need is some mist or fog. 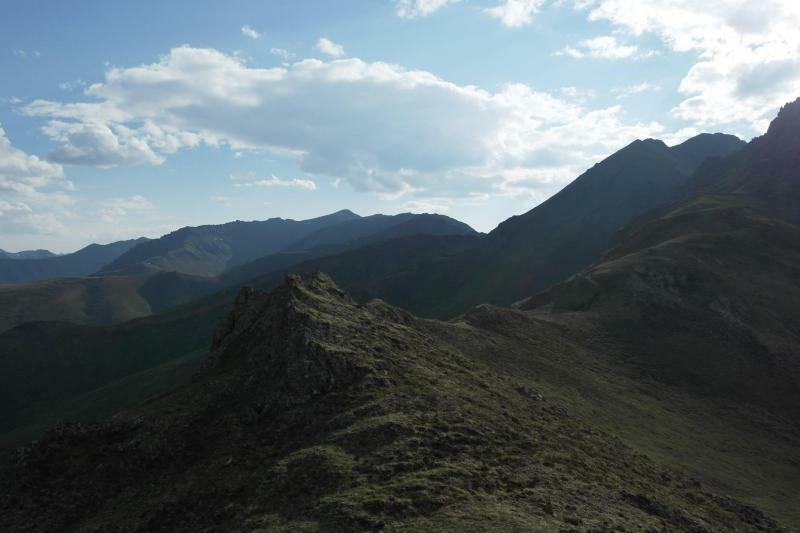 For the final ascent, the route becomes even steeper and rockier, and you will have to pick your way up through the rocky outcrops and spires to reach the very top. A head for heights is needed and there's a bit of scrambling involved so watch for loose rocks. Stay to your left as you ascend to the top in order to avoid the steepest sections. The hard work is rewarded once you're sitting on top of the peak, as it feels like you have conquered a real mountain. Enjoy the views and return the same way down. Note: Alternately, instead of climbing to the peak suggested in this description, you can opt for a longer hike by continuing along the southern ridge to the true summit of Mount Adney (Altitude: 1,920 m). Have you been to Mount Adney lately? I hiked this back in early August (2018) after driving past and thinking 'that looks fun'. It was fun. Brought two dogs up with me. Went directly up closest face trying to avoid small brush. The bottom was kind of marshy. This was a great hike. A colleague and I made it to the forward peak before the summit. Note that there is no identifiable trail other than elk trails leading in all directions, and to follow the GPS track, you must bushwhack (tundra-whack if you will) your way up to the edge of the greenery. At first I attempted to follow the GPS track while attempting to find a trail. After making it up 1/3 of the way of the East face I headed south towards the shallow valley and found a relatively smooth path to the south of the river bed. Once near the top of the stream bed I headed straight up the relatively flat face to the suggested summit which was relatively easy going. There were many burrows of what was likely the collared pika (Ochotona collaris). Since we were on the move to avoid looming dark clouds we didn't take the chance to stop and watch for pikas but their characteristic startled chirp could frequently be heard as we rounded each bend. Initially we followed the given GPS track up the north edge of the slope, and the many tufts of grass made it hard going. On our return we took our reversed path down the southern slope and then followed the valley river bed. Once the brush got heavy, we took a beeline for the gravel pit (trailhead) where we parked. It was much smoother surface, easier going and drier. 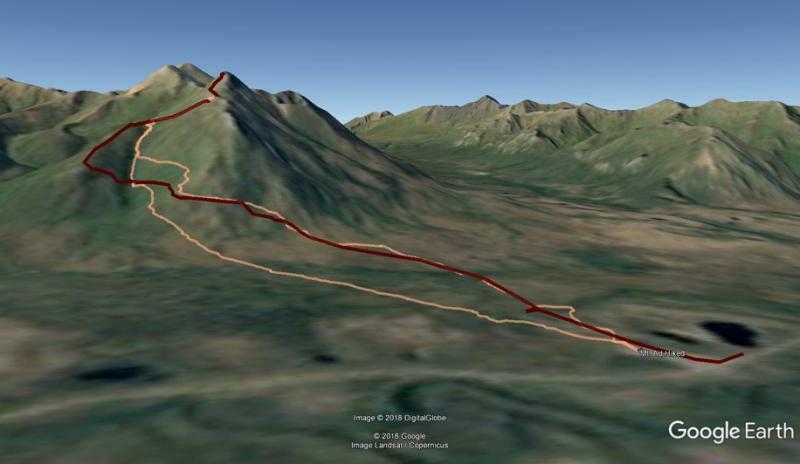 Attached photo is our route superimposed over the track offered on this website: http://www.yukonhiking.ca/mount_adney.html.